Are you able to chronicle or summarize the life of Moses in three forty year periods of time? What was the first forty years? The second? The third? The first thing is Moses' birth. Story Summary of the Birth of Moses. ... They told Pharaoh that the Jewish mothers, unlike Egyptian women, gave birth quickly before the midwife arrived. A handsome male child was born to Amram, of the tribe of Levi, and his wife Jochebed. For three months Jochebed hid the baby to keep him safe. After killing the Egyptian he fled. Where to? 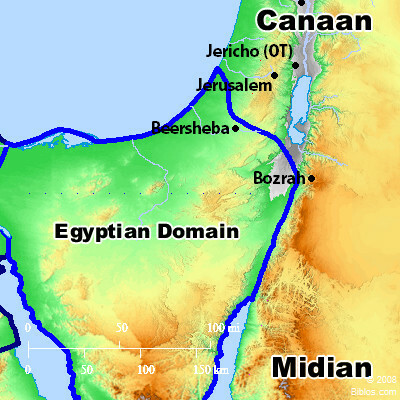 Modern day Saudi Arabia and Jordan are the Biblical land of Midian. So apparently that is the first forty years. So my understanding is that Moses spent forty years in the desert. Before or after the Exodus? Moses was called to Egypt by God to go before Pharoah and ask for God to "Let My people go!" The ten plagues. The Exodus, and the forty years in the wilderness. That makes three forty year periods. We can could chronicle them out spell them out what happened each forty years. Any disagreement about there being three forty year periods and what they are? The first forty years, birth to Midian. The second forty years, Midian to Egypt. The third forty years, the Exodus to the desert. 7 And Moses was an hundred and twenty years old when he died: his eye was not dim, nor his natural force abated.